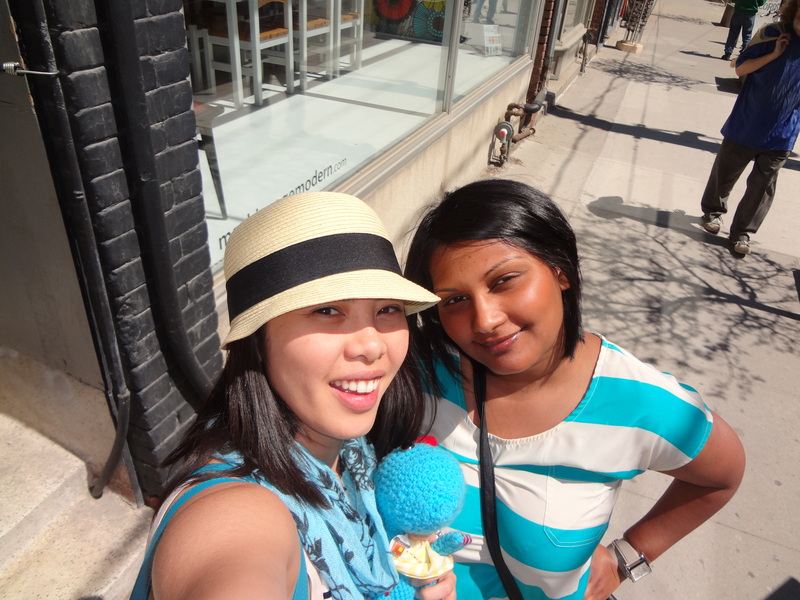 I know I’ve expressed my love for Roncesvalles more than a few times on this blog. The foodie scene is flourishing in the westend and I didn’t think that I could ever find anything similar in the east. It only took one walk on a gorgeous Saturday to change my mind about that! Leslieville has it’s own unique charm and some great spots that you should all stop into. We all decided to wear Benny Blue! Our day started with Baldini Restaurant which I recently reviewed. And while the experience didn’t quite wow, Leslieville more than made up for it on the walk back. I think the words “Yes, I’m full but we MUST go to the donut place” were said about a dozen times before Vanessa and I stopped into Paulette’s Original Donuts and Chicken. It’s been all about cupcakes for the last few years with cupcake bakeries popping up all over the city. 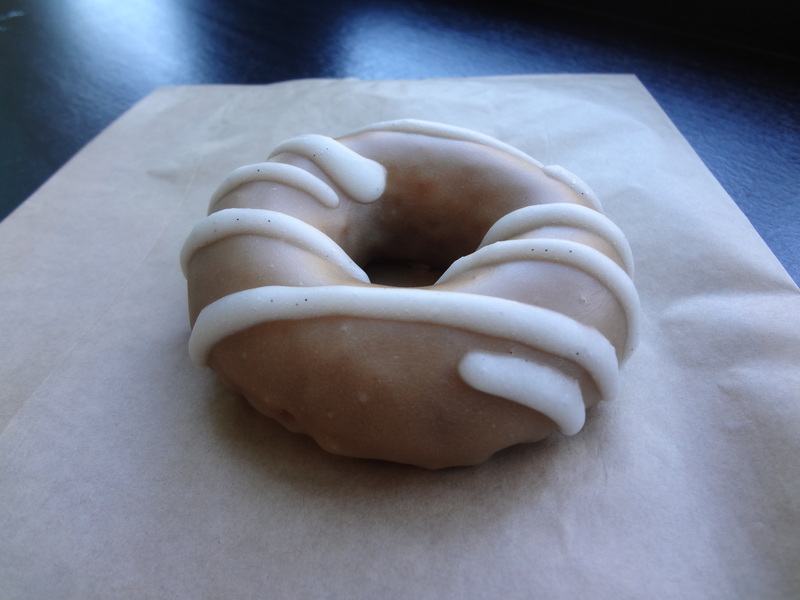 Is it finally the Donut’s time to shine? 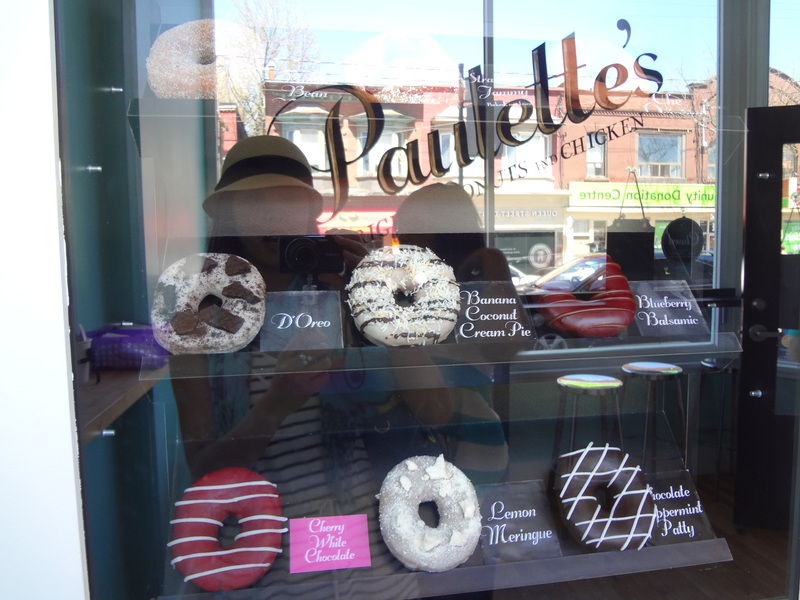 Paulette’s is certainly leading the way with their unique and flavourful selection of fancy donuts. The next up: The Lemon Meringue. I am a sucker for Lemon Meringue pie and so having it in donut form made my heart swoon and my stomach very happy! 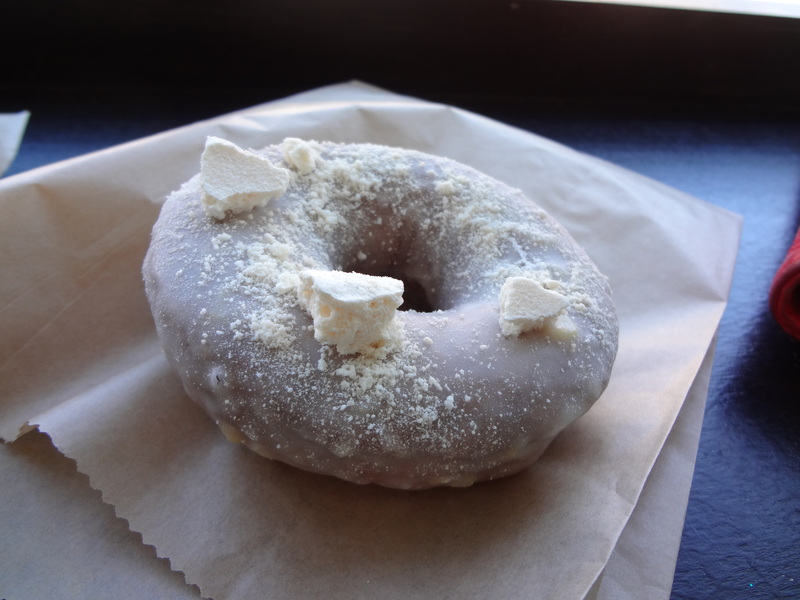 I loved the meringue bits on top and the pockets of lemon custard throughout the donut. 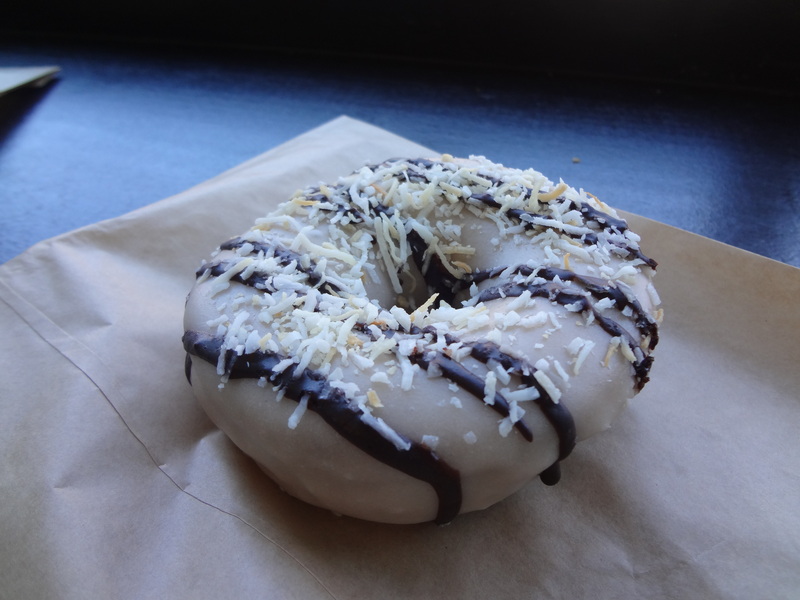 Lastly, the Root Beer Donut. I think it’s time for Homer’s signature snack to finally make it into the spotlight! 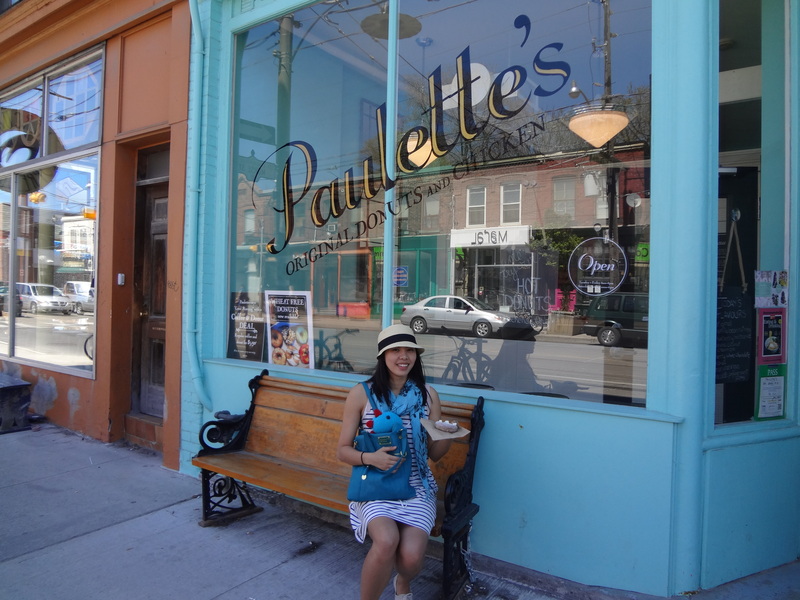 If you happen to be strolling in Leslieville DO NOT miss Paulette’s! Click here for my review on Lady Marmalade another great Leslieville restaurant and coming soon my review on Ed’s Real Scoop!